A group of airport professionals have given a verdict on the proposed concession of the nation’s viable airports describing the proposal as economic terrorism giving the fact that the airports projected for concession are capital spinning assets and not liabilities as proponents of concession would like the nation to believe. In a presentation coupled with a comparison analysis of what entails in the United States of America obtained by Nigerianflightdeck, the group’s representative, Engineer Mohammed Sadiq (FNSE), a former Director of Engineering Services of the Federal Airports Authority of Nigeria (FAAN) said the airports are capable of operating without capital from government while contributing to the Gross Domestic Product (GDP). According to him, FAAN generates N33billion annually and can contribute 25% of this to the Federal government and also stated that the on-going construction of new terminal buildings in the international airports can easily be paid for by FAAN since it is at a very low-interest rate of 2% and payable over 22 years. According to his analogy, the United States is undoubtedly, the most capitalist of all nations but all the biggest and most profitable airports in that country are owned and operated by government-either State, City or Local Government Authorities. He gave a rundown of some of the airports stating that the busiest Airport in the World, Hartfield-Jackson International Airport in Atlanta generates $24b and it is managed by the Local City Council of Atlanta; JFK New York is owned and managed by New York and New Jersey Cities; O’Hare International Airport, Chicago, generates $14.1b and it is owned and managed by the City of Chicago; others are Miami International Airport, Florida; San Francisco International Airport, California; McCarran International Airport, Las Vegas Nevada; Charllote Douglas International Airport, North Carolina; All these Airports are owned and operated by City Councils, which are government agencies. On the advantages of Government ownership and management of airports, Sadiq listed safety and security of the entire nation, infrastructural development, national development, financial contribution to the Treasury Single Account (TSA), loss of experienced personnel, and amazement at the level of greed and principle of greatest good for the greatest number of people. “But with the present Government ownership and FAAN management of airports such nefarious activities cannot be entertained. This is one of the reasons why FAAN should be strengthened to run the Airports in a profitable manner and then pay a large percentage of their earnings to the Federal Government through the TSA. Explaining how government ownership can boost infrastructural development, Saiq said the Private Operators of Airports are only interested in milking the system and leaving it dry and fallow at the end of the day. On national development he said FAAN has been operating the Nigeria’s single Airport System by cross-subsidizing the smaller airports that cannot break even on their own from the revenue generated by the bigger airports. Presently, he noted, the total revenue accruing to FAAN goes to the Federal Government Account through the TSA. 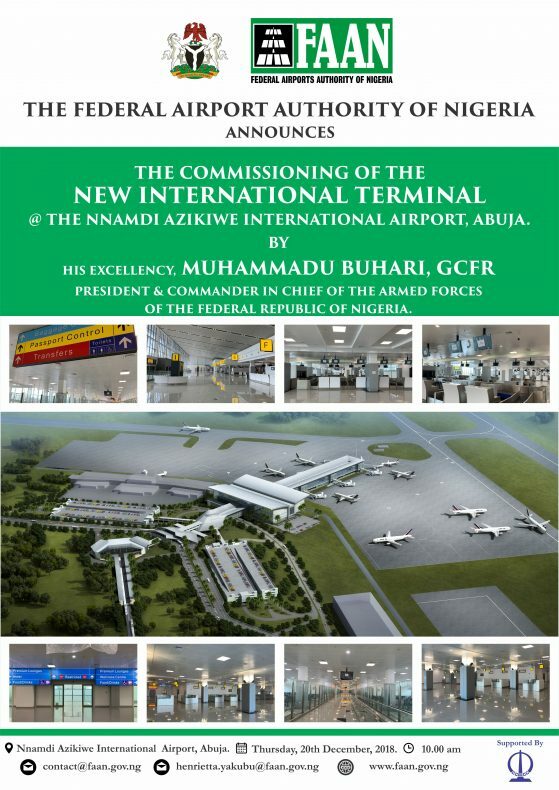 But if the viable Airports are Cherry-picked and concessioned, the whole money goes to the Concessionaire thereby depriving the Federal Government of the critically needed revenue for infrastructural development. “MM2 was concessioned to Bi-Courtney since 2001(16 years ago). 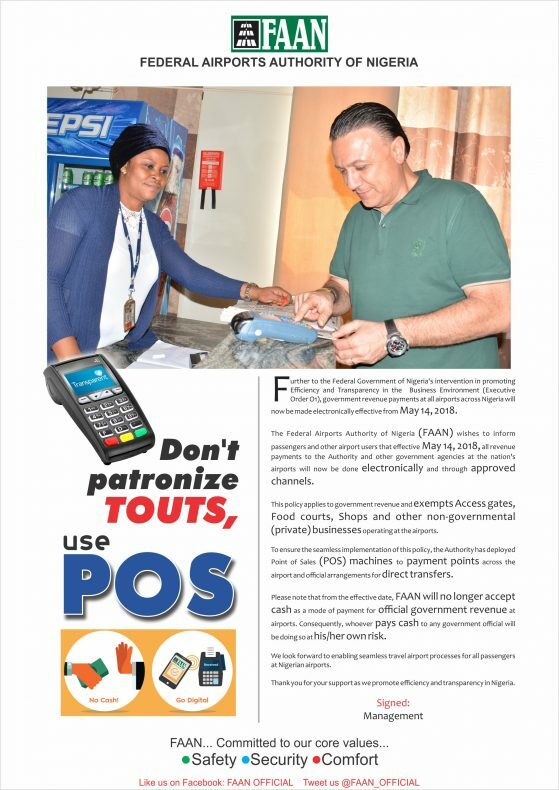 Bi- Courtney has not paid a single kobo to FAAN since that time in the form of 5% Concession fees”, he said. Sadiq further noted that concession is against the principle of the greatest good for the greatest number of people in our circumstance as a developing nation.